Winter is officially over! March was a great month, filled with fantastic weather, good books, and The Hunger Games movie. I started the month off with a review of Sula (terrific novel) and then read a collection of essays, Sugar in My Bowl, that was all-around uninspiring (skip it). 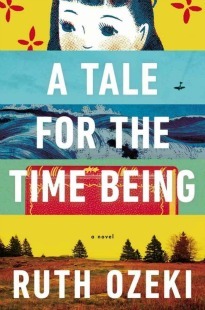 I finally picked up Love in the Time of Cholera and really enjoyed that one. The experience of reading Marquez is tedious, but worth the effort. After that I turned to The Nobodies Album for a fast-paced, literary mystery. It was okay, but it felt like something was missing. The week before the Hunger Games movie came out I was so eager to see it, I picked up Catching Fire to satiate my Hunger Games craving. I was planning on picking it up after I watched the first movie, but I couldn't wait. It was good, but I thought the first one was better. More likely than not I'll read the third novel in the series this month. Then I picked up Mr. Muo's Traveling Couch since I really liked Sejie's his first novel Balzac and the Little Chinese Seamstress. It was an interesting novel, but I had a hard time connecting with the characters. I also read How To Make Friends and Influence People for a work assignment. I'm sure there are many people who find this book helpful, namely introverts, but I felt like it was repetitive and a bit obvious. Not to mention 70% of it is anecdotes, which gets old. I won't be posting a review on that one. I started How To Read The Air near the end of the month and will be finished with it soon. It's the first Dinaw Mengestu I've read and I like him so much I bought his first novel, The Beautiful Things That Heaven Bears, over the weekend at Half Price Books. Even though I reduced the size of my TBR this month, I didn't read one single challenge book in March. I'm going to work on that in April and try to read at least one, maybe two if I get ambitious. There is talk of an Alias Grace readalong with Beth and Zeteticat in the month of May (a Smooth Criminals challenge book). Hopefully we will get a post together soon! I'm super excited for a few on the new releases in May (Bechdel and Irving!) and there is one new release in April that I am curious about: Paris I Love You, But You're Bringing Me Down. (Has anyone confirmed that title was taken from LCD Soundsystem?) Anyway, it's released April 24th and follows the American family in Paris. From Amazon: "It is an expedition into the Paris of Sarkozy, smoking bans, and a McDonald’s beneath the Louvre—the story of an American who loves Paris all out of proportion, who loves every beret and baguette cliché, but who finds life there to be very different from what he expected." Sounds promising. 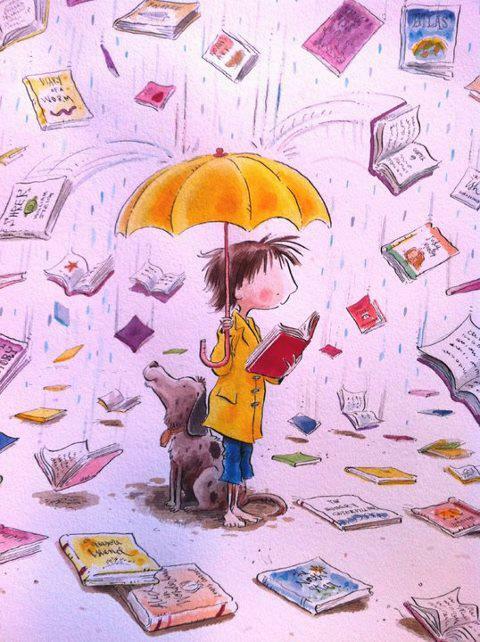 Illustration by Peter Reynolds via Nose in a Book. Now that you've said it I really want to see a review of How to Make Friends and Influence People. So excited about the Irving novel. His newer books are hit and miss, but I'm totally conditioned to get my hopes up. I just bought tickets to see him read in June, so hopefully this new one is a winner. I know it sounds amazing. Hopefully it is!